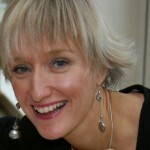 Hello, I’m Dr Stephanie Fade Dietitian, lover of food, science and health and founder of Eating Mindset. Choosing a nutrition expert can be confusing and it’s important to find someone whose expertise you can trust, who can also help you think in a fresh way about your unique challenges. Of course we learn from life as much as from formal study and I have had the privilege of learning from clients and colleagues in clinical, management and healthcare education roles in the NHS and from my healthcare consultancy work and private practice. I have also learnt a huge amount from being a mum, especially as I have 2 children who have additional needs that mean it’s more tricky for them to achieve a balanced and healthy diet. It’s a pleasure to support other parents in their labour of love to help their children achieve a healthy diet. All this means that you can be assured that I maintain expertise about how our bodies and minds work in relation to the food and drink we consume and that I can apply this knowledge to the practical challenges you face. If you are interested in finding a Dietitian or Children’s Dietitian to work with you or your family then I can help you choose the right mix of food and drink to support your health or your family’s health and manage any medical conditions you or your loved ones might have. If you are looking for a Dietitian to work with your organisation I can help ensure that your staff have access to accurate information about food and health and support you to discover innovative ideas to improve the wellbeing of your staff.